It seems from the research that children with eczema are more susceptible to becoming sensitised to allergens. It was also found that a family history of allergies made it more likely that a child could develop allergic sensitisations. Please click for the full article of Eczema, Asthma & Allergies Part 1: Why Does My Child Have All Three. In Part 2, we will be sharing the stories of our interviewees. We will be sharing their experiences managing and preventing eczema, asthma and allergies. From what you’ve learned from Part 1, can you see an correlation with the research? Donna is Mum to 3 year old Theo. Theo is allergic to peanuts, almonds, baked beans, locust beans, green peas and lentils. Theo has also suffered with eczema as a baby; a red, sore, bumpy looking rash on his face. There was no history of allergies in the family. The doctors said that the rash was baby acne or milia. It wasn’t until Theo was 7 months old that Donna discovered why her baby had a rash face. At 7 months, Theo was given some peanut butter, but when given it as finger food his lips and eyes swelled. Donna called the doctors and took him there where they prescribed piriton (anti-histimine brand in the UK). “In hindsight I should probably have called an ambulance or at least gone to A&E due to the type of reaction, but I knew little about it back then” said Donna. Theo was referred to a paediatrician who did blood tests that day which confirmed a peanut allergy. At an appointment 3 months later, Theo was prescribed epipens (epinephrine adrenaline auto-injector pens). “When I stopped breastfeeding when he was 18 months old more allergies to other legumes appeared (things he’d been fine with before) – the beans and peas, and particularly locust bean which is in hamster food (reacted just being in the same room while eating!) and used as a thickening gum in Philadelphia cheese… These cause hives, sickness and Diarrhoea. It can be tricky avoiding all these things but you do get used to it! Theo has been prescribed epipens and piriton for allergic reactions. Donna says “A good skincare regime and allergen avoidance has helped keep the eczema at bay.” Theo also has emollient bathes every other day or so as an eczema preventative and uses Aveeno cream on prescription. Anna is Mum to 5 year old William and 2 1/2 year old Felicity. William is allergic to dairy, eggs, nuts and lentils. Felicity is allergic to egg and dairy intolerant. With Felicity, Anna noticed the signs as soon as the eczema appeared. Felicity developed eczema when she’s was weaned onto formula. Anna requested a referral to the children’s hospital and steroid treatment was prescribed and both children were moved onto Neonate Formula. Anna is an allergy Mum and blogger, you can find her on her twitter @mychildsallergy. Dana’s daughter has had eczema and bad skin from birth. Dana breastfed and ate nuts throughout. Her daughter’s rash was very difficult to get under control. At 9 months Dana and her family went to the zoo and fed the animals with peanuts, her daughter swelled up. They saw a doctor after the first reaction to nuts and were referred to an allergy doctor 2 weeks later. They received a formal diagnosis and a prescription of epipens. After the formal diagnosis all peanuts and nuts were removed from Dana’s house and her daughter’s skin began to get much better. At 10 months old Dana’s daughter got RSV (Respiratory Syncytial Virus – a common virus that can lead to mild cold-like symptoms in adults and older children but more severe in infants) and this is when she first had asthma. It wasn’t until 2 years old that the animal and environmental reactions started. On her blood work and skin tests, Dana’s daughter’s nut and environmental allergies get worse every year. Dana’s daughter has been prescribed epipens, steroid cream for eczema, inhalers for daily use as well as rescue inhalers and breathing equipment for her asthma. She also has nose sprays and eye drops for environmental allergens. Kathy has a 2 year old daughter who has eczema, allergic to peanuts and tree nuts, avoiding shellfish and is allergic to cats and dogs. They suspect asthma and have a nebuliser and rescue inhaler, but not able to officially diagnose due to age. Kathy’s daughter started to show symptoms around 2 months old. The eczema was from head to toe and so horrible. Kathy said her daughter “looked like a burn victim, her eczema was beyond severe.” The eczema started to clear up a bit around her first birthday, but at about 20 months old, Kathy’s daughter tried peanut butter and went into anaphylactic shock. Upon seeing an allergist after this reaction, a skin and blood test were done which confirmed allergies to peanuts, tree nuts, fish, shellfish, cats and dogs. Kathy’s daughter has been prescribed epipens, anti- histamines and inhalers along with strict avoidance of all allergens. “What I’ve learned is how serious allergies are and how careful we have to be with reading labels. Since we avoid shared equipment and facilities her eczema has been gone for quite sometime and we have things under control with that. But anytime she has a cold she requires albuterol and budesonide treatments via nebulizer as her airways close up” Kathy says. Kathy’s daughter has now been cleared for fish but they continue to avoid shellfish. Kathy’s daughter’s tree nut numbers have fallen so they are hoping to do a hazelnut challenge soon. Good luck to Kathy and her daughter, we hope for the best! Carly is Mum to 6 year old Oliver. Oliver has an allergy to tomatoes which triggered his eczema. His eczema was also, unknown to Carly, exacerbated by fabric softener and white soft paraffin creams. Oliver’s symptoms started when he was about 18 months old. His initial eczema covered his body and was so sore that it hurt him to be picked up. Carly saw a doctor and was suggested that it might be a tomato allergy. Carly tried cutting out tomatoes and then tried a tomato based meal two weeks later. During the couple weeks of tomato elimination, Oliver’s eczema was still sore but after tomato was re-introduced his eczema became bright red and very sore again. After Carly discovered that fabric softener and white soft paraffin creams made Oliver’s eczema worse, they were cut out along with tomatoes. Oliver’s eczema only really comes back in the winter now, but clears up with cream. Oliver has been prescribed Aveno cream. Carly also uses coconut oil which helps Olivers skin. Ali is mother to Molly Lee. Both Ali and Molly Lee have severe multiple allergies. Ali is allergic to milk, eggs, wheat, soya, penicillin, dust, fur feathers, tree pollen, grass and Tocopheryl acetate (a form of Vitamin E). Molly Lee has been diagnosed with reflux as well as delayed allergic reactions to milk and egg. She is also affected by pollen and has hay fever. Both suffer from eczema and were covered in eczema as babies. They also are affected by asthma. “I was the typical allergic child with clear and easy to understand reactions. Traditional allergic testing methods (skin prick tests) work a treat on me. I swell up nicely and that gave everyone something to work with…Molly was a different case altogether. Her reactions are delayed and it took years to find out the triggers. She was born covered in eczema but we think that was triggered by me eating a lot of tomatoes during my pregnancy. Molly hates tomatoes so we do wonder if she’s allergic but haven’t had that tested yet. Once her skin cleared up as a baby we started to moisturise two to three times a day and her skin is now pretty good. She does have a prescription for cortisone but we get through maybe a tube a year at most. Molly vomited daily until the age of 7. She, and we, never had a nights’ sleep due to vomiting and stomach pain. Finally, at age 4 she was admitted to Chelsea and Westminster hospital and the gastric team diagnosed reflux. I will never forget her last cry of ‘mummy’ as she went under the anaesthetic. Truly heart rending. Stomach and nasal tubes were inserted and she was hooked up to a mini computer to assess the level of acid in her stomach and throat. It didn’t take long for the diagnosis to be confirmed. She was put on high doses of omeprazole and ranitidine which calmed things down but didn’t stop the vomiting. We were repeatedly told she wasn’t allergic until a consultant from Great Ormond Street got involved and diagnosed delayed allergic reactions. Once the elimination diet showed eggs and milk to be an issue Molly recovered and stopped vomiting constantly. She is now off medication (unless she eats too much sugar!) and on a no dairy, no egg diet. She vomits rarely now, although still gets a bit of heart burn now and then. Ali is an allergy sufferer, allergy mum and blogger. You can follow her on twitter @allergymumscouk and visit her blog at www.allergymums.co.uk. We would like to say a huge thank you to all the parents who shared their experiences. Those stories described in this article are not the only responses we received from parents. Thank you to everyone who contributed and those who allowed us to share your stories. Through sharing stories we can help those who are struggling in the allergy journey and provide support, because we’ve been there. Don’t suffer in silence! Have these stories resonated with you? Please leave a comment below. A couple of key things for me are: 1. I highly recommend using the Royal Prince Alfred Hospital Elimination Diet resources. These are Australian, verified by qualified researchers, and easy to use and adapt. Use the pear sauce recipe, it’s a great tomato sauce substitute 2. find a copy of ‘Additive Alert’ by Julie Eady, and get to know how our food labels work, and take it shopping. Then as it gets easier, downsize this to your own Avoid List. I remember being in my local supermarket for 4 hours and finding only 8 food items I could buy that met my new shopping criteria. It does get easier! 3. every person’s allergies are different, so use the elimination diet to get results that work for your child and your family, trust your instincts/results on this. 4. 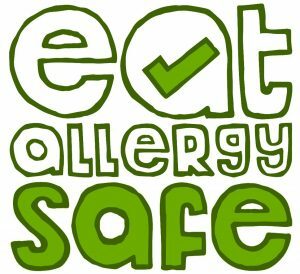 I was fortunate to have other allergy families at our school who set a standard before me – we didn’t have a ‘total nut ban’ at all, but became an ‘allergy aware’ school instead. This helped the kids with bee allergies too. 5. We have a bit of a pharmacy with us wherever we go – epipen, antihistamines, charcoal tablets, salbutamol puffer. Make a grab pack for your child and one for you to swap between backpack, handbag, beach bag, suitcase, sports bag. Add toothbrush when required. Goodluck! Sam is now nearly 16 and nearly 6 foot tall. He was breast fed for over 6 months. He grew up on a farm amongst the cows, sheep, dogs, chickens, horses, grass, hay, trees, garden, vegetable patch and ate EVERYTHING including copious amounts of dirt and also shared the dog treats when I wasn’t looking. The ‘cleanliness’ factor doesn’t apply to us. He started with eczema at 3 months (teething commenced), followed by ear infections (more teething) treated by antibiotics, and so we were put on the bandwagon… diagnosed with asthma at 9 months “but we can’t do anything as he is under age 2″… cancelled his 4th birthday party due to ‘unknown illness’… wasn’t actually diagnosed with allergies until age 9, when he was on adult levels of asthma medication and doubled up with gastric pain for 10 hours a day. Avoidance of all allergens cleared his eczema, asthma and gastric pain, and consumption of anything initiates anaphylaxis. We now avoid annual legumes (including peanuts, soy, peas, beans, guar, locust, chickpea, lentil), almonds & stone fruit(and their extracted flavours), certain stabilisers & preservatives & colours & additives and flavours (chicken salt is actually pea flour and a certain asthma attack exactly 12 hours later), eggs were avoided but are now tolerated, shellfish are a new concern, and latex is an inter-generational allergy. I joke that our diet is ‘Grandad’s diet’ meaning Sam is fine to eat whatever Grandad ate – except peas, beans and stonefruit. I believe his allergies have origins with a genetic pre-disposition (there are similar problems in several of my family’s male members including Crohn’s Disease) and I wonder if exposure to certain foods post antibiotic use has triggered an IgE response that developed into highly allergic reactions? It’s been quite a journey, and I wish that we discovered the food allergies years earlier. Wow that is quite a journey you have had! Genetic pre-disposition is definitely something the research has shown to increase the chances of developing allergies. Eczema too. I wonder if the antiobiotics did have an effect, that would be something interesting for the doctors to research into and potentially helpful for prevention and diagnosis. How have you and your family managed with this? Is there a piece of advice you would give to other parents?